THE AUSER TIMES: Very individual who made me sign bogus reprimands at Wackenhut Corporation in 2001 based on which I was latter even fired, got arrested and charged with racketeering/ fizzles in 2010 - let of the hook in 2011 thanks because of "witness problems"
Very individual who made me sign bogus reprimands at Wackenhut Corporation in 2001 based on which I was latter even fired, got arrested and charged with racketeering/ fizzles in 2010 - let of the hook in 2011 thanks because of "witness problems"
Miami Dade county ripped off for no less than three to five million US Dollars by these three individuals. 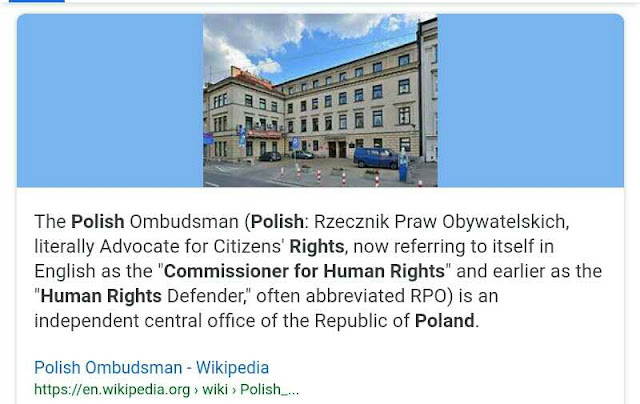 Related to http://docdro.id/fKpm7Ye from where you can learn partially about what went on(will also be presented in complain which I will submit to international courts/organisations) against me when in US and by whom - by what type of people. 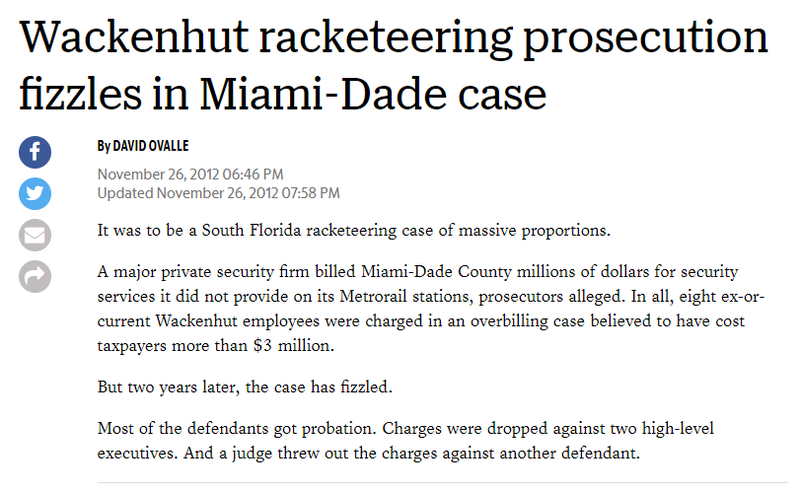 It was to be a South Florida racketeering case of massive proportions. A major private security firm billed Miami-Dade County millions of dollars for security services it did not provide on its Metrorail stations, prosecutors alleged. 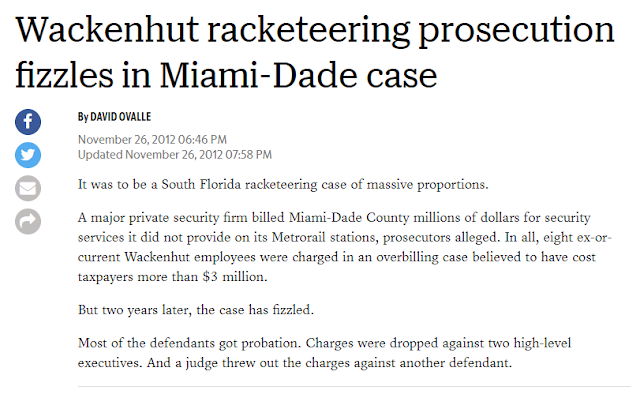 In all, eight ex-or-current Wackenhut employees were charged in an overbilling case believed to have cost taxpayers more than $3 million. But two years later, the case has fizzled. Most of the defendants got probation. Charges were dropped against two high-level executives. And a judge threw out the charges against another defendant.